EHR replacement can feel like a leap of faith. After all, how can you be guaranteed of a return on investment if you have no means of predicting positive financial outcomes? Most experts agree: the most challenging part of replacing your EHR is not in choosing a new vendor, onboarding staff, or implementing new technology, but in safeguarding financial success. Let’s take a closer look at best practices for achieving ROI following your EHR replacement. Administrators who expect overnight change often find themselves disappointed and crying foul. However, changing EHRs takes both time and money across a variety of inputs, including the set up process, implementation, and maintenance. The assumption that immediate financial results are imminent is not only overly optimistic, but disadvantageous. At the 2013 Academy Health National Health Policy Conference, Dr. Farzad Mostashari, then-head head of the Office of the National Coordinator for Health Information Technology, cited patience and perspective as valuable tools for providers looking for more than eventual meaningful use benefits in the post-EHR replacement landscape. He also suggested that -- as the benefits to patients can be quite profound -- administrators who choose to view their EHR replacement as an asset as opposed to a drain on resources can glean valuable insights into future returns. A 2013 study from the University of Michigan School of Public Health determined that only practices which focused on trimming costs and growing revenue saw an increase in ROI following the switch to a new EHR system. While it’s easy to get bogged down on day-to-day logistics, the “big picture” gets results. A clearly delineated governance plan can help you implement strategies throughout the entire implementation process. Just make sure to look back before you look ahead: understanding what went wrong with your previous EHR can help you avoid making the same mistakes moving forward. Don’t expect the system to magically work for you. Instead, make it your business to understand the new system and apply it in the most comprehensive, relevant way. Lack of knowledge and understanding leads to lack of functionality and lower ROI. The more universally new EHR technologies are implemented by your organization, the more value for money you will achieve. But it’s not enough for you to understand the new system, your staff must, too. Adequate workforce training is an essential part of a successful EHR replacement. 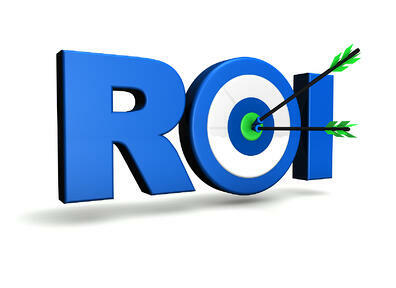 A program which facilitates knowledge and use maximizes ROI. Many experts recommend a measured approach: the transition to a new EHR can be complex; focus on promoting slow, steady mastery for best results. Taking your eyes off of your data is the equivalent of taking your eyes off the goal. If your new EHR system comes with metrics designed to help you better understand its functionality, there’s an obvious course of action: use them. Diligently tracking your EHR usage not only gives you a better sense of how effectively staff is interacting with the system, but also lets your make corrections along the way. Today’s healthcare systems are dynamic; the ability to adapt and improve is essential to a better bottom line. Furthermore, if it’s obvious that certain areas aren’t working to expectation, your vendor can help you customize changes. Achieving ROI after replacing your EHR is neither an accounting nor clinical directive; it’s a collaborative effort with a goal that encompasses both financial success and quality of care. The more these often-disparate entities work together, the more skillfully you’ll position yourself for ROI success. This partnership can also help you more effectively track and capitalize on incentives. With clinical quality measures and outcomes playing an increasingly vital role within the healthcare sector, the corresponding importance of EHR software is undeniable. Positioning your organization to capitalize on incentives and avoid penalties is a robust endeavor with promising ROI potential. Maximizing financial outcomes during the replacement of your EHR is possible, if complex. Ultimately, ROI depends on understanding and optimizing functionality -- not solely from a core financial perspective, but in the context of a health care system that increasingly priorities quality of care. If you're concerned about ROI and EHR replacement, we can help. Contact the experts at RevenueXL today.